Season: Picked in the autumn and stored until spring. Choosing: The tastiest will be solid and heavy, with stems that are full, firm and have a corky feel. Storing: Store in a cool, dark (about 50° F) place for about a month. The Perfect Recipe: This Acorn Squash with Pomegranate and Kale Tabbouleh makes a stunning dish that tastes just as good as it looks. 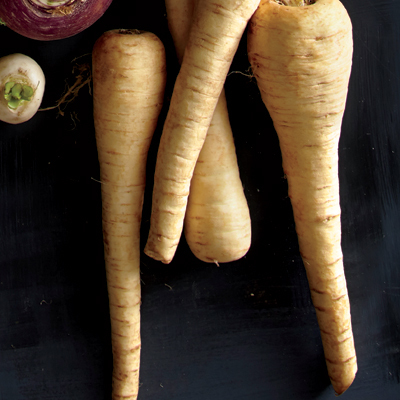 With the perfect balance of winter flavors, this recipe brings out the best in this seasonal vegetable. 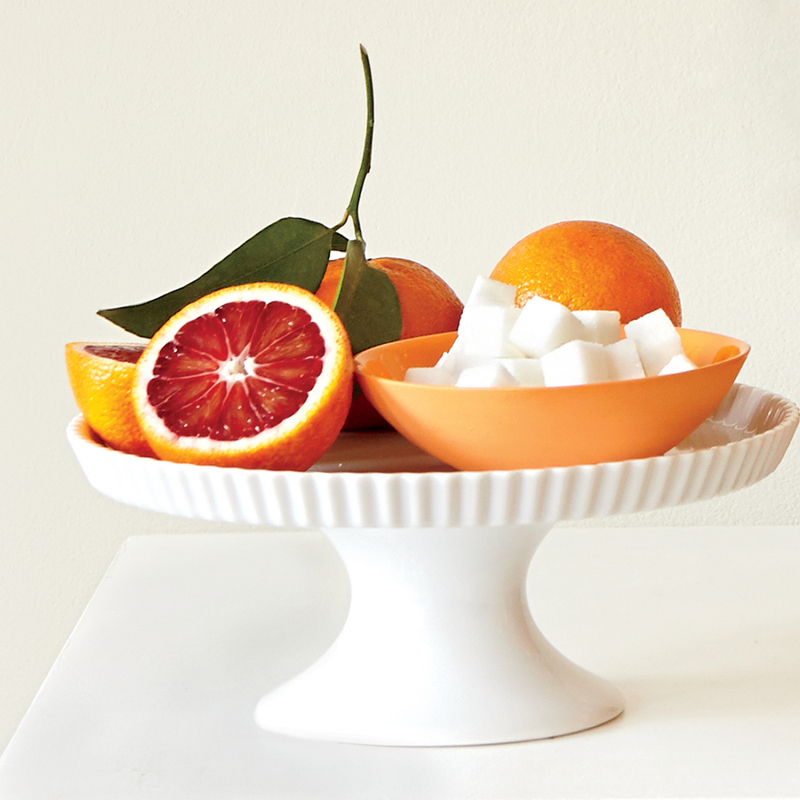 Choosing: Pick blood oranges that are firm to the touch and heavy for their size. Storing: To keep these ruby gems fresh longer, choose refrigeration over the fruit bowl—they'll only last a couple of days at room temperature but will will stay fresh up to two weeks in the fridge. The Perfect Recipe: Sweet, tangy, and creamy, these Blood Orange and White Chocolate Cream Cups make the perfect two-bite finale to any winter meal. You'll love how easy the clean up is too! Season: Though available year-round, the freshest crop comes in the fall. 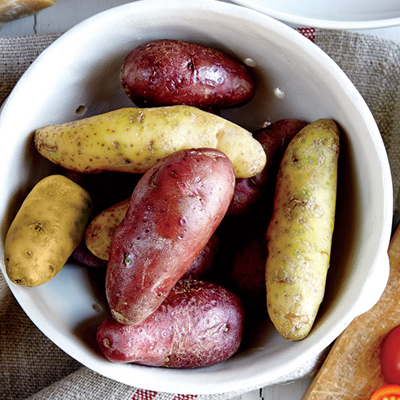 Storing: To keep these sweet spuds fresh up to 3 to 6 months, store them in a cool space around 50°. An unheated garage, basement, dark cabinet or pantry is ideal. 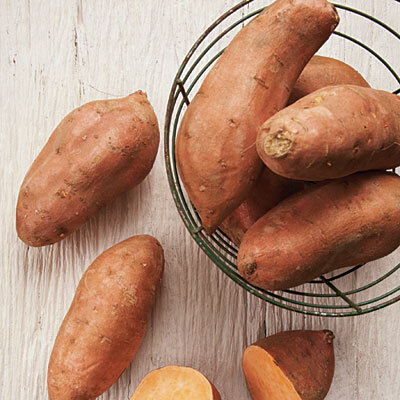 Health Benefits: Packed with vitamins A and C, sweet potatoes are more nutritious when cooked in their skins. The Perfect Recipe: Full of tangy-sweet glaze, Glazed Sweet Potatoes with Maple Gastrique is holiday-table worthy but also simple enough for a weeknight side. 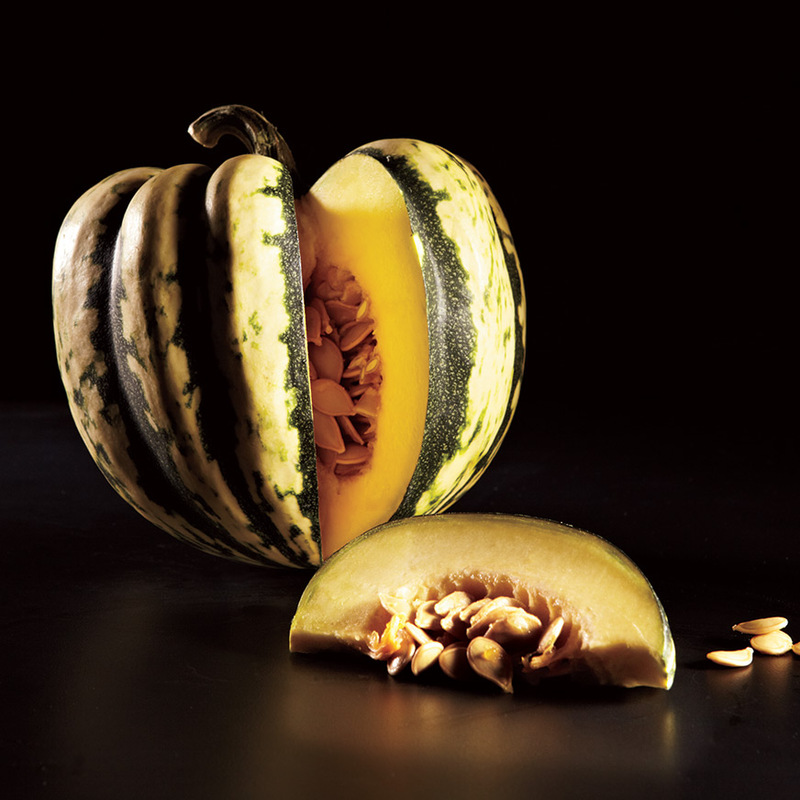 Season: Picked at its peak in autumn, this popular winter squash stores well and can be enjoyed through spring. Choosing: Look for a squash that is without cracks or soft spots, is heavy for its size, and is deeply colored with a matte finish. Storing: To maintain the freshest squash for about a month, store in a cool dark place or paper bag. Health Benefits: This squash is packed with vitamins A and C. The darker the squash, the more beta-carotene. The Perfect Recipe: Warm-Spiced Butternut Squash Soup is easy to make and comforting to eat. The earthy spices in this fragrant dish make wonderful accents for the natural sweetness of butternut squash. 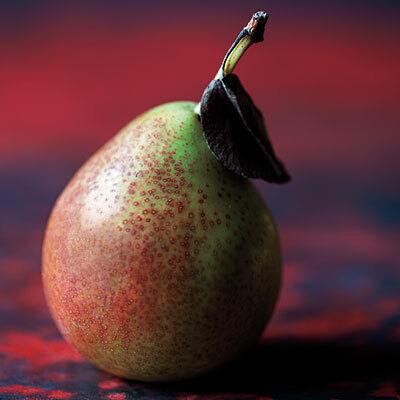 Choosing: Test for ripeness by applying light thumb pressure near the pear's stem. If it's ripe, there will be a slight give. Storing: If pears aren't quite ripe, store in a brown paper bag on the counter; it may take 3 to 5 days for them to fully ripen. Once ripe, store in the refrigerator for 3 to 5 days. Health Benefits: Just one medium pear packs in 6g of fiber as well as vitamins A and C, plus potassium. Their natural sweetness makes them a great choice for desserts, so you can cut back on the amount of added sugars. The Perfect Recipe: Sweet fruit and tender quick bread unite to create a stunning treat that will have guests coming back for more. The best part: this gorgeous Poached Pear Bread is remarkably easy to make! Choosing: Look for bunches that are dark green and free of yellow or brown blemishes. Storing: Place cut kale in a plastic produce bag in your refrigerator for up to a week. Health Benefits: Kale contains beta-carotene and the antioxidants lutein and zeaxanthin–which are associated with eye health–as well as potassium, vitamin A, vitamin C, fiber, iron, and calcium. Plus, you get 2 grams of protein in a serving. The Perfect Recipe: Quick, easy, and brimming with nutrients and flavor, we suggest you add this Orecchiette with Kale, Bacon, and Sun-Dried Tomatoes recipe to your weekly meal plan, and put it on repeat this season. Season: Although readily available almost year-round, the peak season is from September to mid-February. 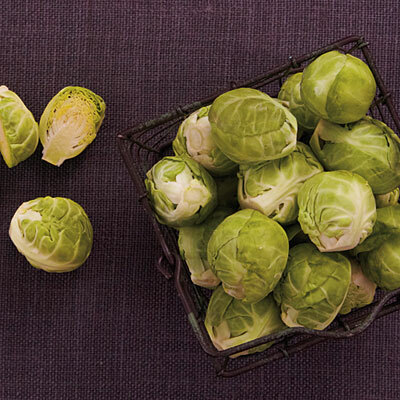 Choosing: Look for sprouts that are 1 to 1.5 inches in diameter—the smaller the head, the sweeter the taste. They should be compact, firm, and green, with minimal nicks and torn or yellowing leaves. Storing: Store in a produce bag in the coldest part of your refrigerator. Though they will last a couple of weeks, cook within 4 to 5 days for the best taste. Health Benefits: This nutrient powerhouse is full of phytonutrients (natural plant compounds), which may help protect against cancer, plus vitamins A and C, potassium, folate, iron, and fiber. The Perfect Pairing*: Everyone will want to eat their Brussels Sprouts when they're skewered and grilled kabob-style and served with a side of bold, flavorful Marzetti® Sriracha Ranch Veggie Dip. Choosing: Look for fresh stems with no sign of curled, brown, or molded leaves. The leaves should be firmly attached to the stem, not shedding. Storing: Cut the woody stems with kitchen shears or garden clippers, ideally while holding them underwater in the sink or a bowl. To maximize their life, place them in a produce bag in the refrigerator (but not in the vegetable bin). They'll last up to two weeks. The Perfect Recipe: There's nothing quite as satisfying and warming as sitting down at the table with a basket of homemade biscuits in front of you. 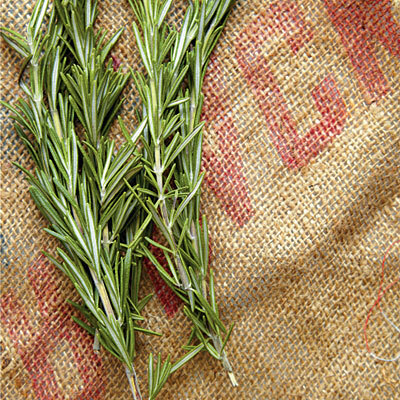 Nana's Rosemary Biscuits with Cranberries unite sweet and savory flavor in one delectable bite. Health Benefits: An average clementine packs up to half of the Recommended Dietary Allowance for vitamin C and is also a good source of fiber. The Perfect Recipe: Fennel's licorice-y sweetness is a great match for the intensely citrusy yet supremely sweet clementines and salty feta in this staff-favorite, Fennel and Clementine Salad with Chicken, Almonds, and Feta. Season: Peak season is fall and winter. However, home gardeners can also slip in a quick planting in spring for an early summer harvest. Choosing: Look for compact bulbs that are relatively heavy and firm. Avoid those that are splitting or browning or have other injuries. Storing: Remove the foliage by snipping an inch or two above the bulb. 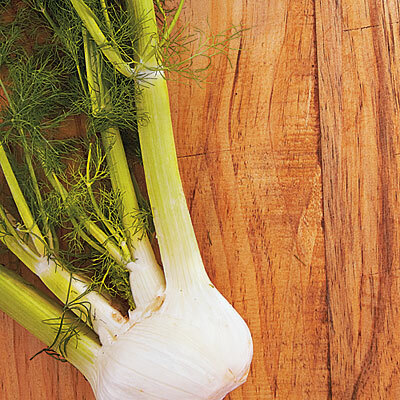 Place fennel in a produce bag to prevent moisture loss, and store it in the vegetable bin of your refrigerator for three or four days. The Perfect Recipe: Braised Fennel with Parmesan Breadcrumbs: This licorice-flavored member of the parsley family gets a quick sear in a little butter to caramelize the wedges and mellow out the strong flavor. Breadcrumbs spiked with nutty Parm-Reg top off this fast, super-simple side. Pair with pork chops or roasted chicken thighs. Choosing: Look for ones that are heavy, bright in color and free of blemishes. Storing: Refrigerate whole pomegranates up to three months or freeze seeds in an airtight container up to three months. 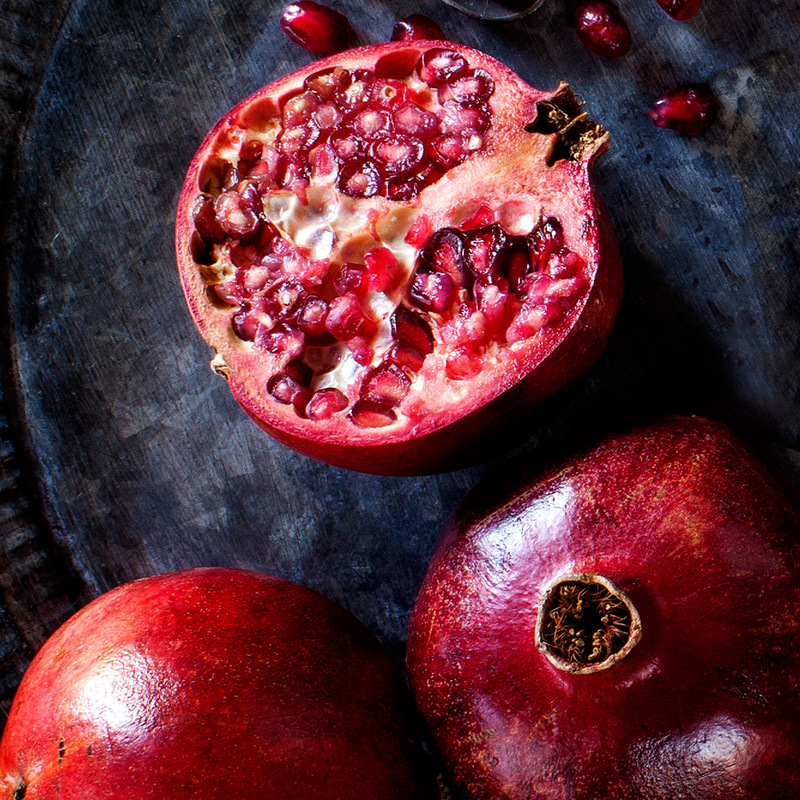 Health Benefits: Packed with cancer-fighting antioxidants, specifically polyphenols, pomegranates are also an excellent source of vitamin C, potassium, and calcium. The Perfect Recipe: Impress any guest with our five-star Beef Filets with Pomegranate-Pinot Sauce that come together in a 20-minute snap. 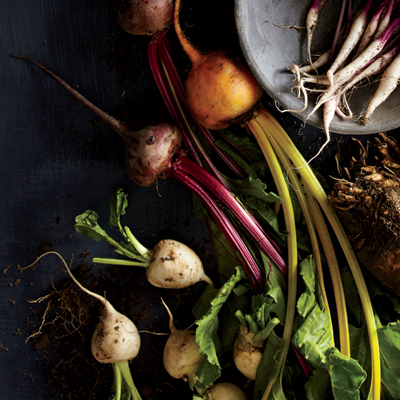 Choosing: Look for small to medium-firm beets with smooth skin. 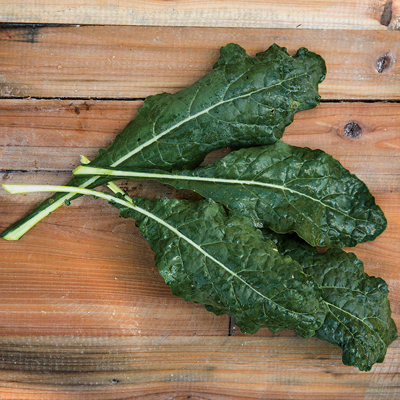 If you plan to cook the beet greens, they should be crisp and a vibrant dark green color. Storing: Store beets, greens and all, in a produce bag in the coldest part of your refrigerator for up to 2 weeks. Or, trim greens and refrigerate roots in a plastic bag up to 3 weeks. Health Benefits: A great source of folate, these golden- and purple-hued beauties are also packed with betaine. The Perfect Recipe: This composed, two-toned Roasted Red and Golden Beet Salad is a showstopping way to highlight the vegetable's natural beauty. 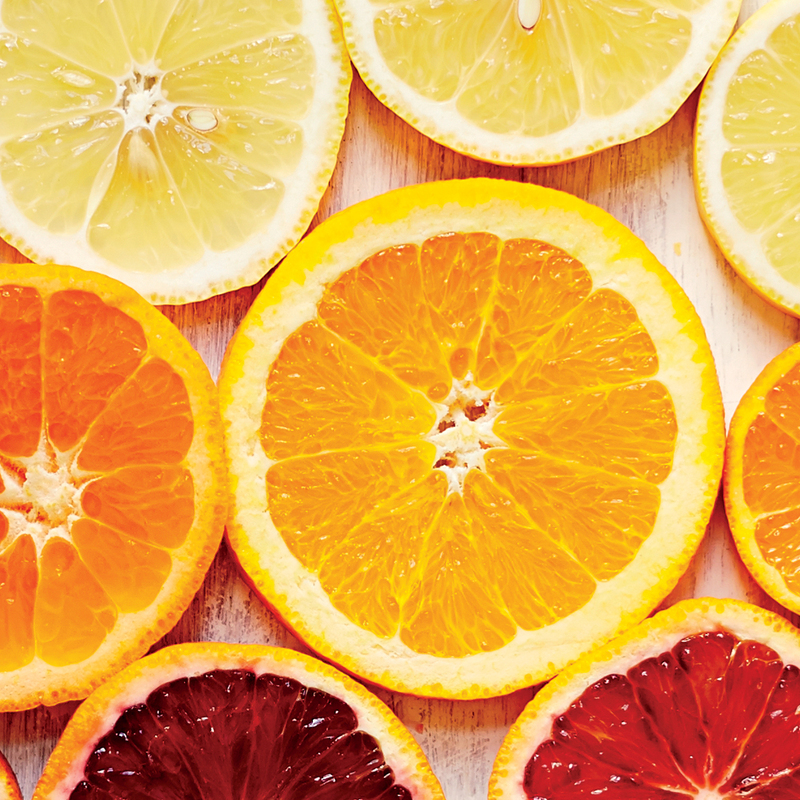 Choosing: To select, choose firm oranges that have smooth skins and are not moldy. Storing: Store citrus in a produce bag in the vegetable bin of your refrigerator for up to a week. The Perfect Recipe: Marmalade provides pectin to give the glaze syrupy body and balances the sweet orange juice with a touch of pleasant bitterness in this top-rated Orange-Mustard Glazed Pork Chops recipe. Choosing: Cranberries are usually packaged in 12-ounce plastic bags, so you won't get to choose them individually. Check the see-through to make sure you get brightly and intensely colored berries. Storing: Tightly wrapped in a plastic bag, cranberries will keep in the refrigerator for up to 2 months. 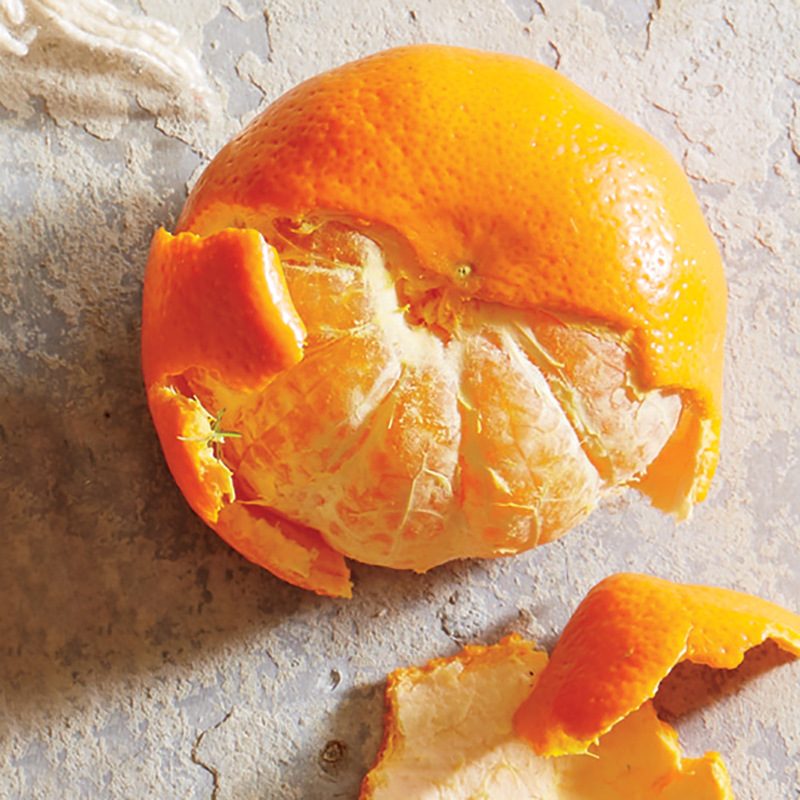 For increased longevity, toss the bag in the freezer, where they'll stay fresh for a year. Health Benefits: Loaded with antioxidants, flavonoids, vitamins A and C, one cup of whole, raw cranberries contains only 47 calories, while providing you with 4g of fiber. 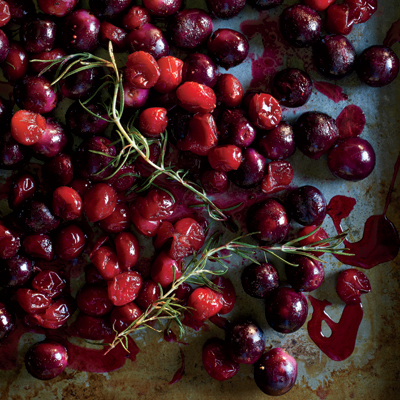 The Perfect Recipe: Cranberries truly are a calling card of the season and no holiday feast is complete without a much needed bite of bright, refreshing acidity like this fresh, homemade version of Roasted Cranberries and Grapes with Rosemary. Storing: For best quality, place citrus in a produce bag in the vegetable bin of your refrigerator for up to a week. Health Benefits: Naturally packed with water and fiber, this bright fruit packs in a hearty dose of vitamin C as well. 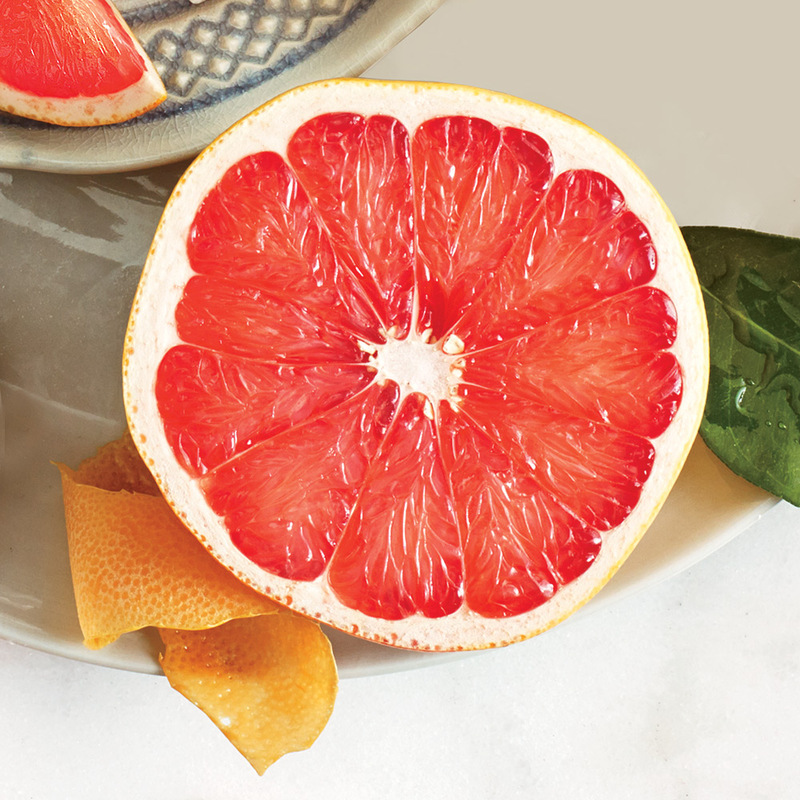 The Perfect Recipe: With its sweet-tart zing, pink grapefruit shines in this Fennel and Radicchio Salad with Citrus Vinaigrette filled with bold, fresh flavors and beautiful colors. 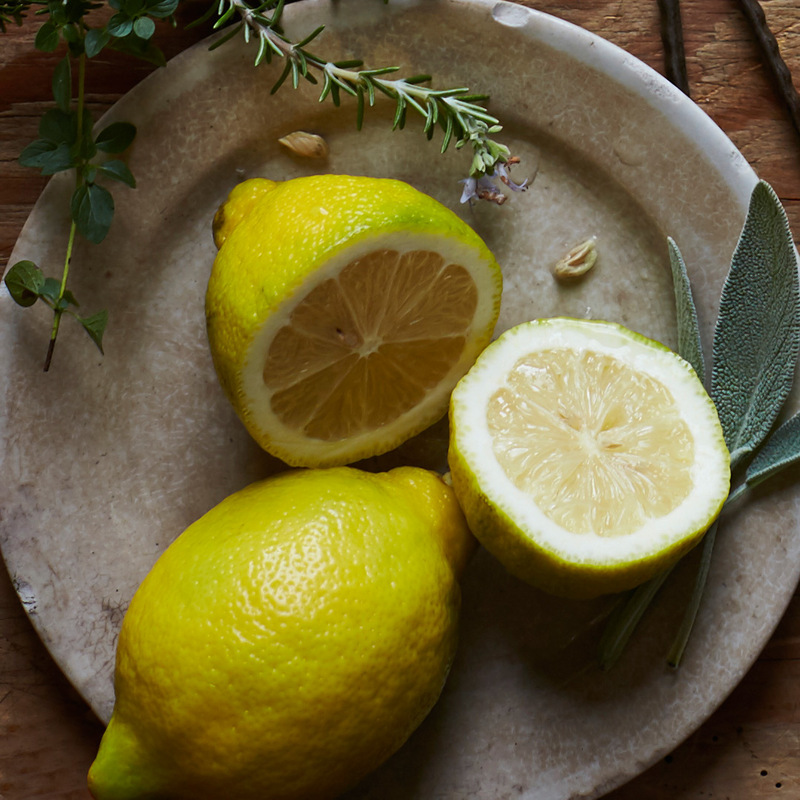 Choosing: Look for smooth, brightly colored skin (green means under-ripe), and lemons that feel heavy for their size. Health Benefits: They are a good source of vitamin C, potassium, and fiber. They also contain vitamin B6, calcium, riboflavin, iron, and magnesium. The Perfect Recipe: It doesn't get much easier or more satisfying: a complete dinner in one pan in half an hour like our Weeknight Lemon Chicken Skillet Dinner. Lemon brightens this cozy winter meal. Choosing: Look for small to medium firm, well-shaped roots with creamy-beige skin. Avoid limp, shriveled, or spotted roots, or any with tops that are beginning to sprout. Storing: Wrap in paper towels, and refrigerate in a plastic bag for up to 2 weeks. The Perfect Pairing*: For an in-season and oh-so-delicious snack, try warm roasted parsnip "fries" with cool and creamy Marzetti® French Onion Veggie Dip. Season: While most mushrooms are available year-round, many are at their peak in fall and winter. Choosing: In general, look for firm, evenly colored mushrooms. Avoid mushrooms that are broken, damaged, or have soft spots, as well as those that seem damp or smell of mildew. Storing: Don't wrap them in plastic; they'll stay firmer placed in a single layer on a tray, and covered with a damp paper towel. Fresh mushrooms can be stored, unwashed, in the refrigerator for up to 3 days. 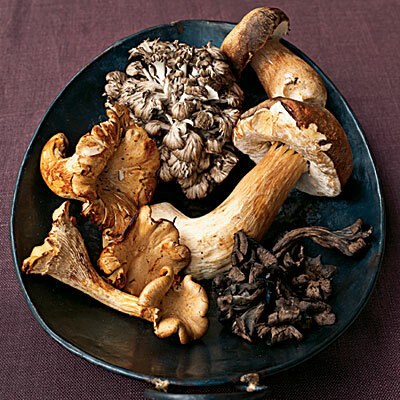 Health Benefits: Mushrooms contain two important B vitamins—niacin and riboflavin. The shiitake mushroom is particularly healthy, as it contains lentinan, which may help fight cancer and bolster the immune system. The Perfect Recipe*: Entertaining season is upon us, and these savory handheld Mushroom Turnovers are a guaranteed crowd-pleaser. Filled with mushrooms, shallots, Swiss cheese and Marzetti® Ranch Veggie Dip, it's a go-to appetizer from Thanksgiving through New Year's. Season: Mature potatoes make their appearance in late summer and fall. Choosing: Look for firm potatoes that are not green or sprouting. Storing: Place potatoes in paper or burlap bags to increase the humidity while allowing air to circulate. Store them in the coolest, darkest place in your home, such as a pantry or cabinet or in an unheated garage or basement. They'll last three to five weeks. The Perfect Recipe*: Warm up your family with this hearty Creamy Ranch Potato Soup made of Yukon Gold spuds, carrots, chicken stock, and Marzetti® Ranch Veggie Dip. 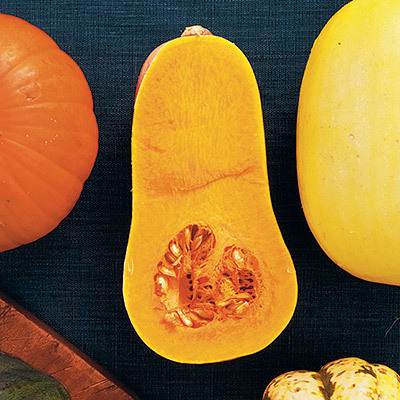 Choosing: The skin of the squash should be deeply colored with a matte finish. 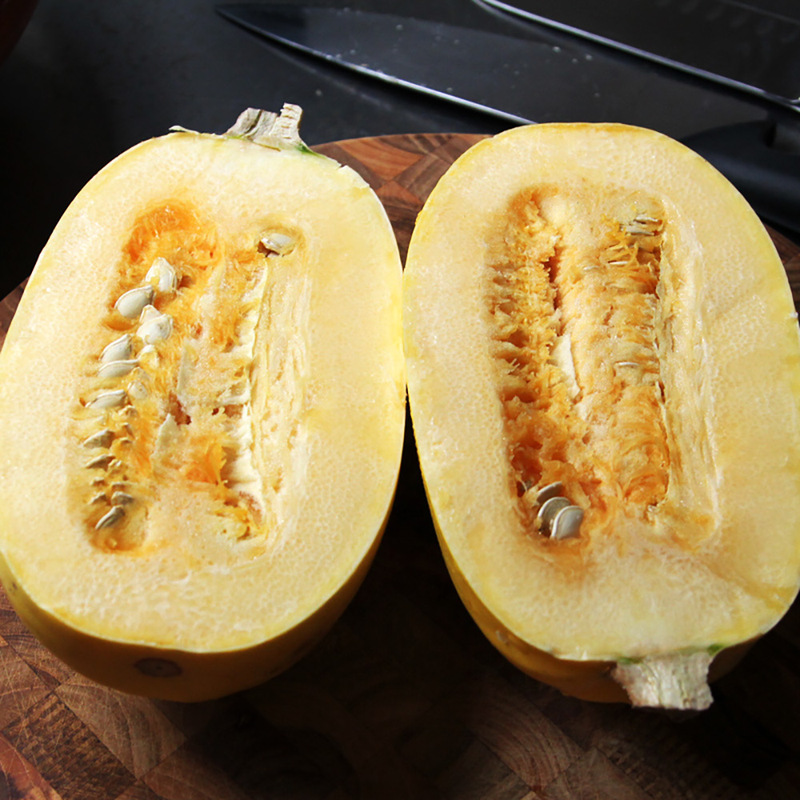 Avoid squash with cracks, soft spots, or moldy areas. Health Benefits: This winter veg delivers tons of nutrients, and it makes your pasta dishes much lower in calories and carbs. The Perfect Recipe: Not only does Spaghetti Squash Lasagna with Spinach transform this comfort meal into a delightful dinner for less than 400 calories, but it also packs in fiber and nearly 2 cups of vegetables in each hearty serving.